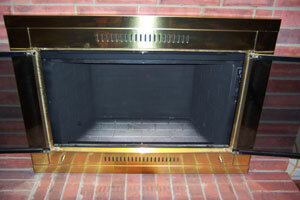 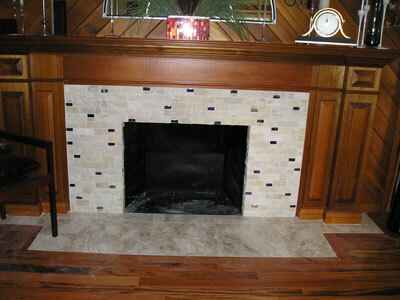 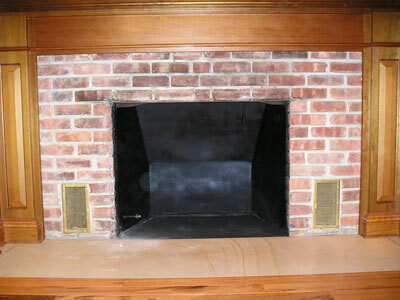 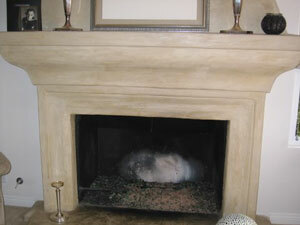 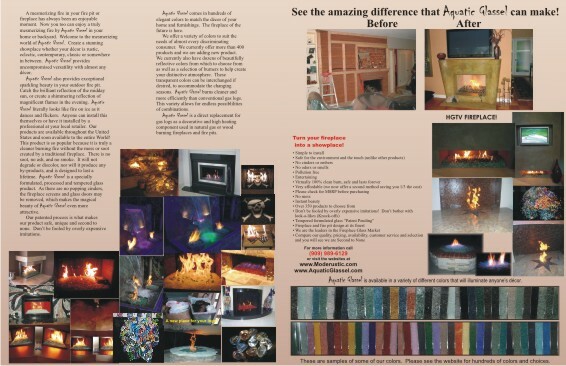 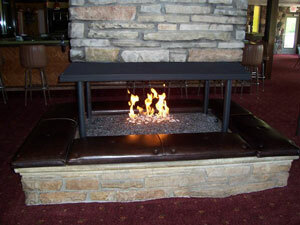 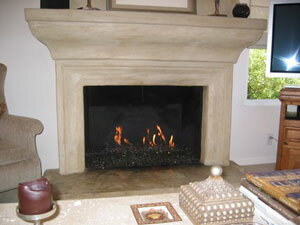 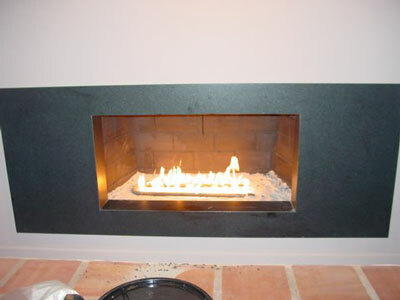 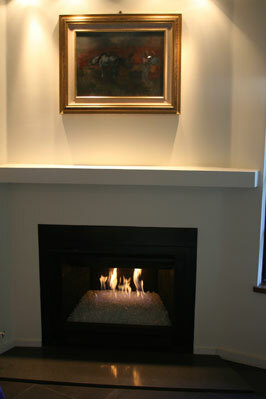 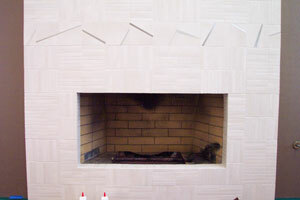 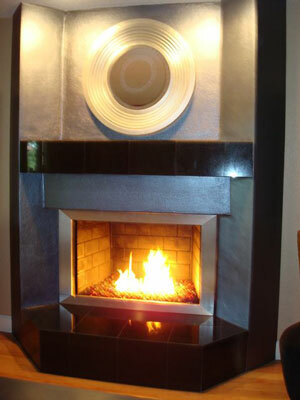 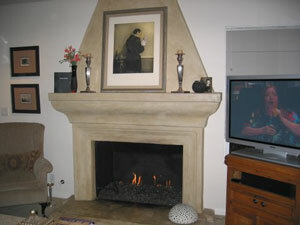 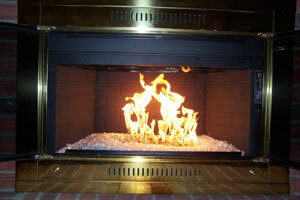 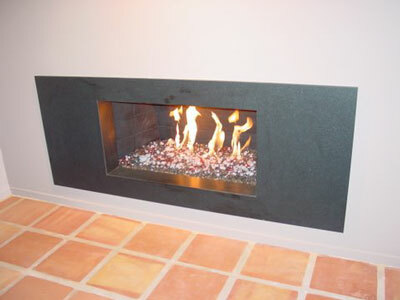 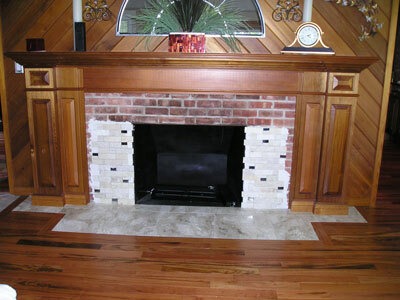 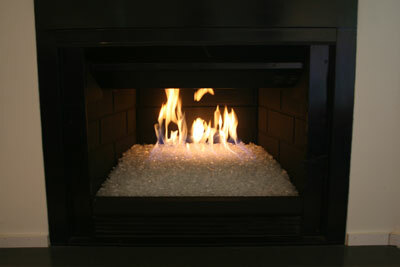 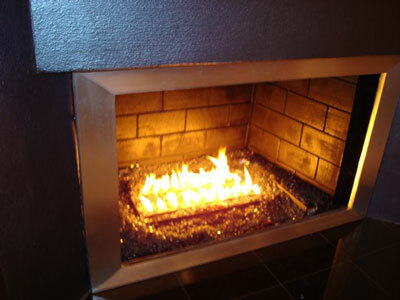 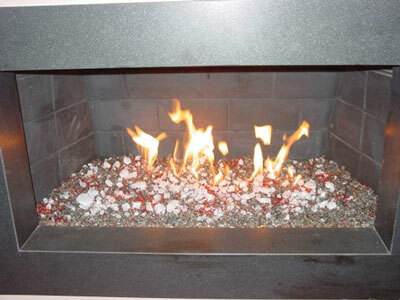 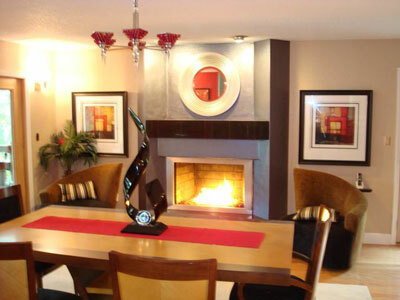 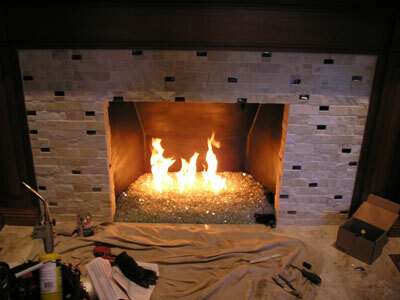 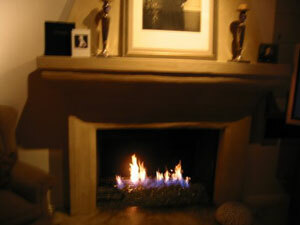 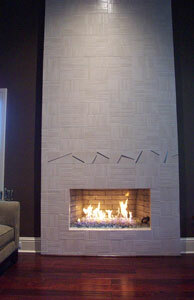 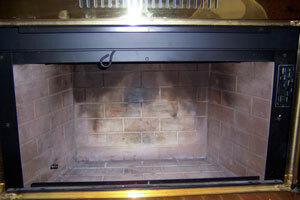 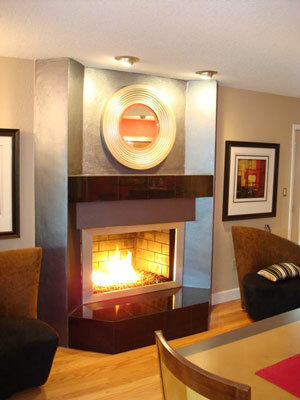 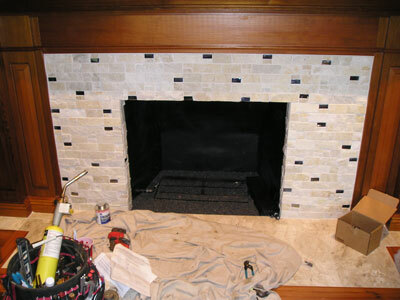 We've posted several pictures sent to us from our customers who've converted their existing (natural gas or propane) fireplaces into a beautiful FireGlass fireplaces. 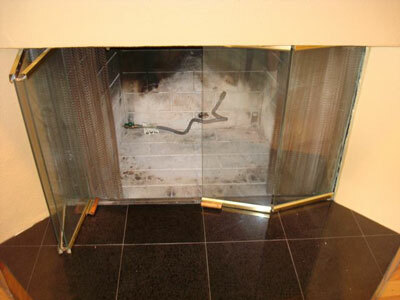 2" of lava and a Bronze Base Glass with Bronze Reflective Base Glass and 2 lbs of Gold Base Glass. 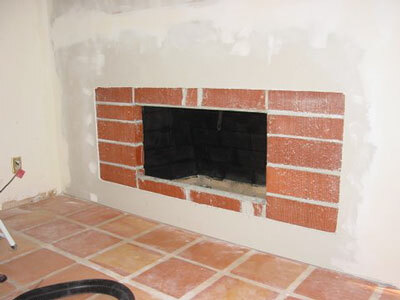 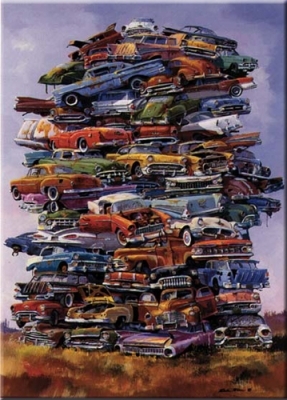 One can of paint and your done. 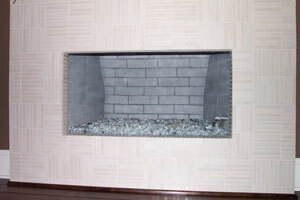 The fireplace below has Clear Base Glass, Gray Base Glass, Black Base Glass, Clear Pyrite Base Glass and topped with 1/2" Starfire Base Glass FireGlass. 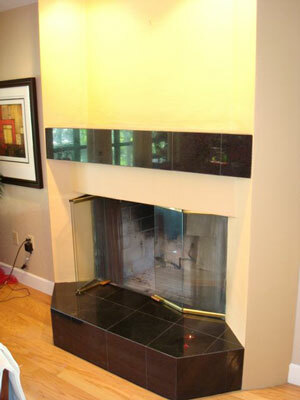 The fireplace below has Bronze Base Glass, Bronze Reflective Base Glass, Ice Ice Ice Topper, Gold Base Glass FireGlass and Yellow Amber Topper. 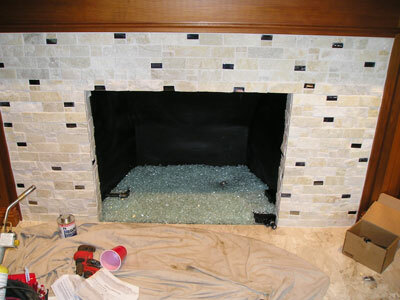 The fireplace below is a propane burner, self installation with the 2" method, Starfire Base Glass and Gold Base Glass FireGlass on top. 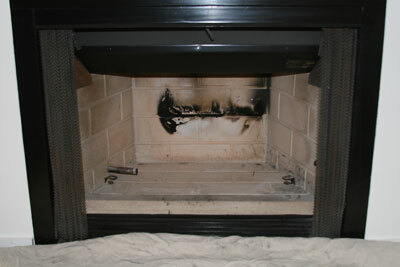 You can see the pilot light and thermocouple are still exposed. 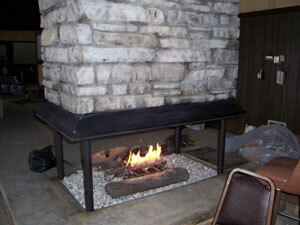 Glass on top with a double 24" burner installed. 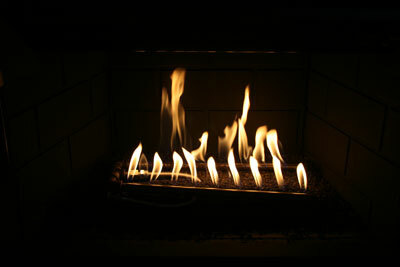 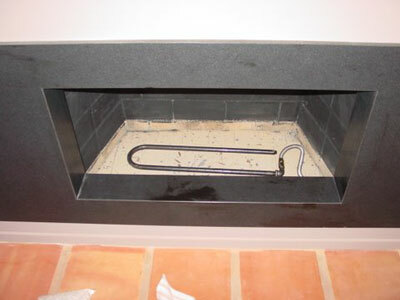 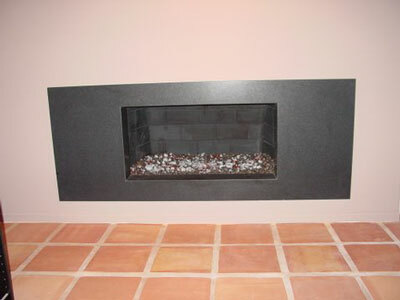 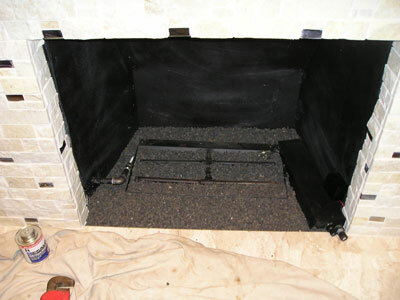 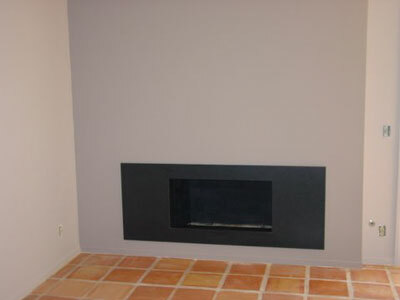 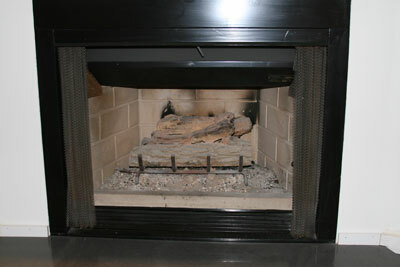 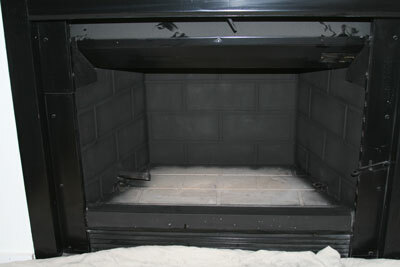 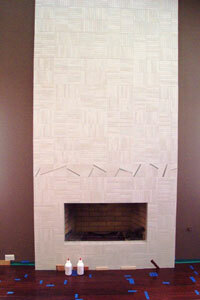 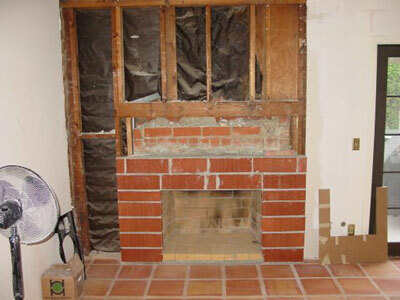 and a black metal fireplace surround. 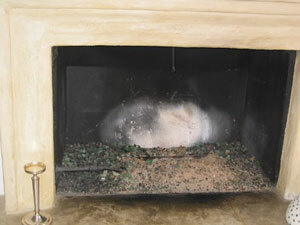 The glass that was used was a Gray Base Glass with Black Base Glass and Copper Ruby Red Topper on top. 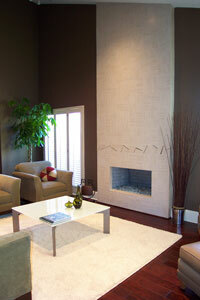 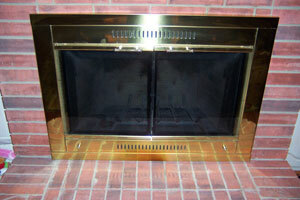 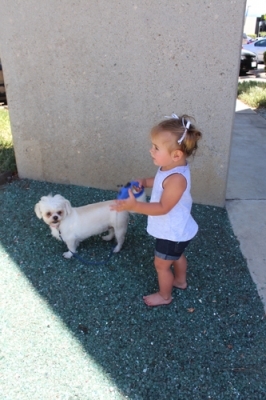 Rich used a Bronze Base Glass and Bronze Reflective Base Glass FireGlass. 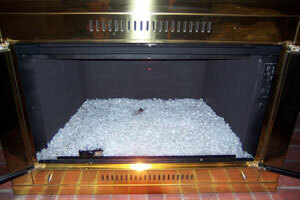 Topped with a bit of Starfire Base Glass, Ice Ice Ice Topper and about 2 pounds of Copper Ruby Red Topper for a splash of color. 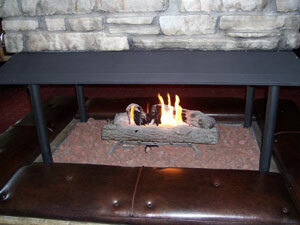 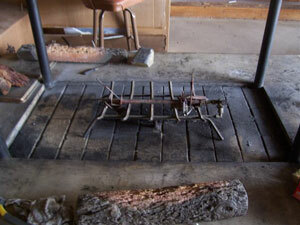 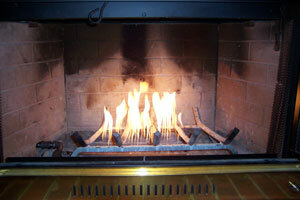 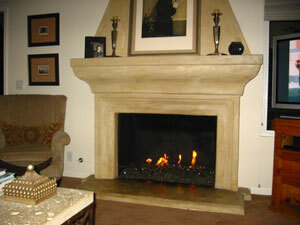 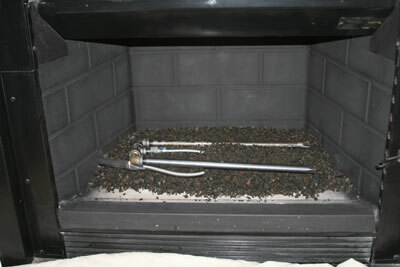 The fireplace below is a propane fireplace. 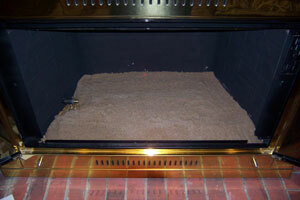 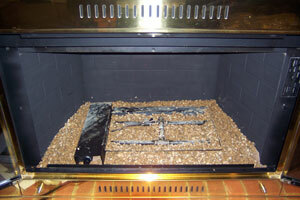 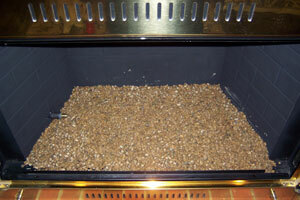 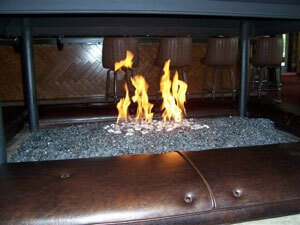 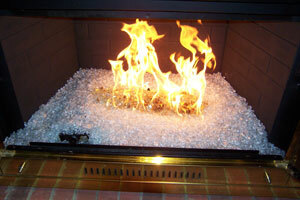 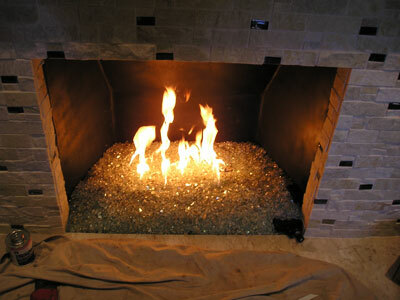 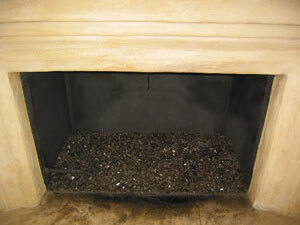 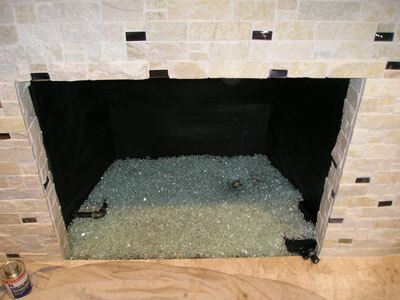 A bed of crushed lava was installed and a Clear Base Glass FireGlass was used to cover it all up.